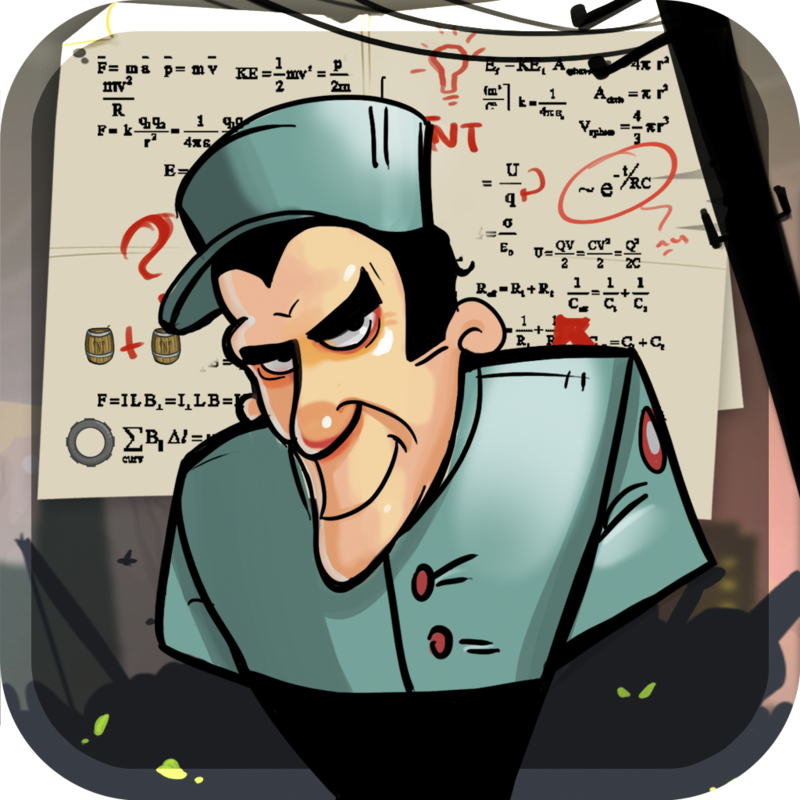 Garbage Collector Physics ($0.99) by G.P. 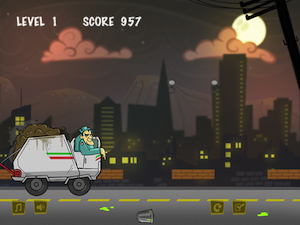 Imports, Inc. is a physics-based game that helps you take the trash out. Well, let me clarify: This app will not actually take out the trash for you. You’ll still be responsible for getting your garbage out to the curb for trash night. 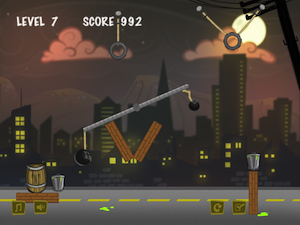 However, you can knock the cans out into the street in this great game. 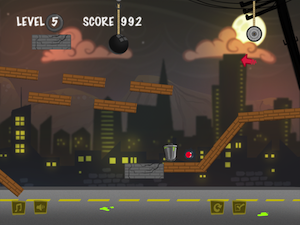 The point of the game is to use your environment and tools to knock the garbage cans over onto the street below. Once you’ve managed that, the garbage man will come by in his truck to pick it up. You don’t need to worry about making sure that every can is knocked over simultaneously. This garbage man is kind enough to do a second or third trip to pick up what you’ve freshly knocked over. The garbage cans are sitting on ledges. 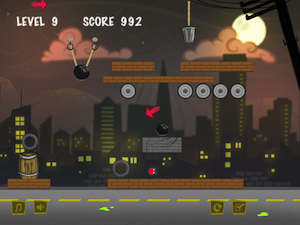 The only way to knock over the cans is to use things like dynamite, tires, or bombs. Sometimes, these tools are suspended by ropes, and you have to cut the right rope to make the object swing properly or drop in the right location. 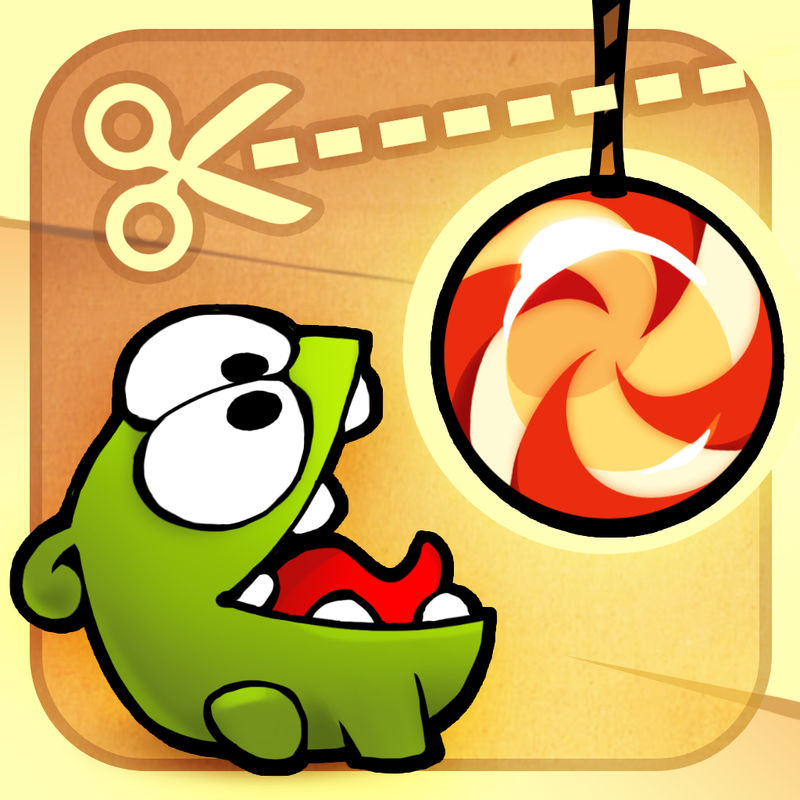 This app actually reminds me a lot of Cut The Rope regarding how you interact with your surroundings. I loved this game. 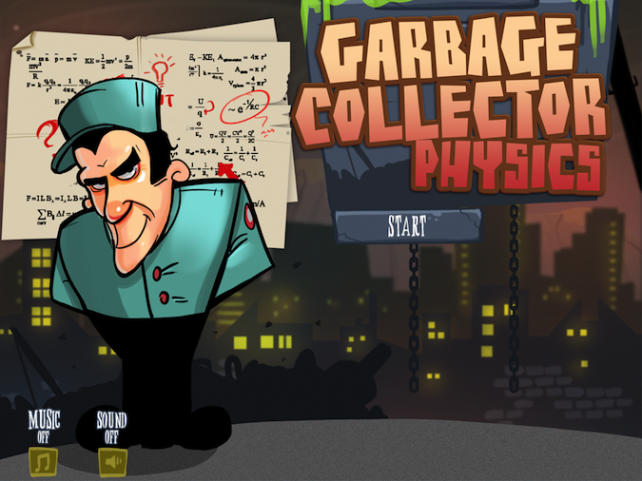 I liked the different puzzles and the creative methods for getting the trash cans knocked over. 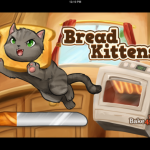 There are currently 18 levels to play through, so it’s not a very long game. 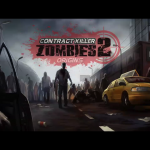 However, the developers say that there are an additional 18 levels in the works. There’s also a lite version for anyone who is interested. I highly recommend giving this game a try, and I can’t wait for the update. 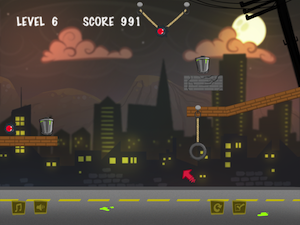 Garbage Collector Physics is a universal app, and it’s available in the App Store for $0.99.